Kas Oosterhuis's architecture runs along the fine line seperating or joining it in to the realms of art. 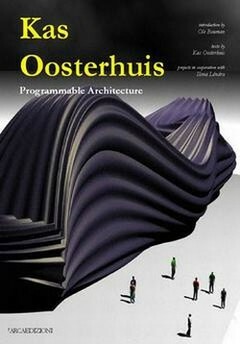 Oosterhuis has built all his work, illustrated in this book, around the combination of rigorous design and artistic freedom, while also paying subtle attention to digital technology. His work ranges from the multiform Active Structures of "Trans-ports", an interactive pavilion, to the functional layout of spaces of the Garbage Transfer Station "Elhorst/Vloedbelt", Variomatic S(culptures) and Variomatic L(andscapes), and finally the clever architectural forms of the Helsinki Music Center and the fantastic Programmable Landscapes, a "game" played by a Database on one hand and Intuition on the other. These dialectical relations between design philosophy and clever invention place Oosterhuis's works at the cutting-edge of modern-day architectural design.